Watches of today are not only functional accessories which are supposed to tell you what time it is, but the designs in watches which are available, are blurring the distinction between watches and jewelery. Their function of primarily telling the time has somewhat taken a back seat and now, they are a style statement, a life style product and to a great extent go on to define the character of the person wearing it. This can be substantiated by the fact, that a humble wrist watch can be bought for something as little as a few hundred rupees and as much as a few hundred million as well. 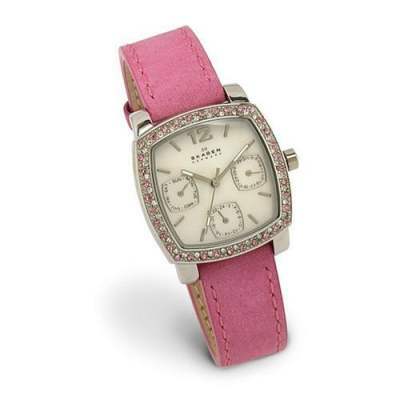 Today, we have a wrist watch style for every occasion and to suit every woman’s myriad moods. 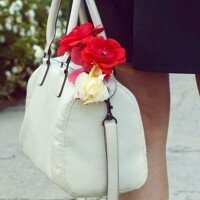 It is indeed popular and fashionable to have as many to suit your taste and match your outfit. Most watches come with adjustable straps; the straps could be made of metal, plastic or leather; some even are worn as clasp bracelets. Most watches these days are battery run, or use the Quartz technology, however, you still do have vintage watches which need to be manually wound every day to tell you the time. You even have mechanical watches these days which start working only when you strap them on! Eco drive watches which absorb light through natural sources such as sunlight or even artificial light to keep them going are also quite popular with the environment friendly. The most accurate time telling machines are the battery operated ones. Based on the occasion that you would want to wear a watch to, watches could be divided into sports, fashion and jewelery time pieces. Here we discuss each of these, the salient features that these must have and of course the most popular designs and colors reigning in each category. This is quite a style statement these days. Made popular by rich sports persons and people finding out more time to follow and play a sport, these are packed with features that any sports person would require to perform well. You will be pleasantly surprised to know that you could buy watches specific for every sport these days. A sport watch is intended to support the sports-persons fine tuning their timings precise to the second, keeping a tab on their multiple practice sessions in a day using reminders and alarms and yet be functional even in the worst of weather conditions. 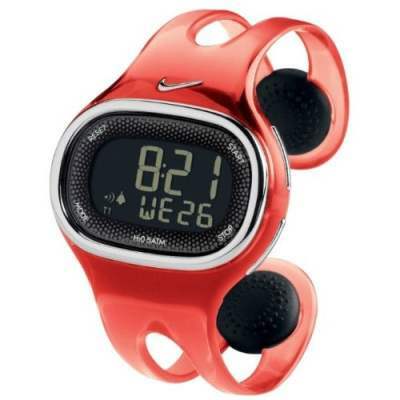 Mostly, sport watches for women are designs with a big dial and sturdy. The reason for this is simple, while pursuing a sport, you only can possibly afford a cursory glance to look at the time; you could be practicing in extreme conditions and do not wish to bother much about taking care of your watch. Sports watches come in attractive and bright colors and you could choose the strap colors which go well with the dial color to add an element of your style to the watches. If you would want a very basic model of sports watch, go in for a large dial, possibly a chronograph and a glow light. Digital watches look great too. You could go in for a model which displays the date and time as well. Sometimes, the watch could also have time settings for two or more places, this is worth an investment if you are a frequent traveler and would want to keep a tab on time at your home town and current city. If you are an amateur fitness enthusiast, and love to spend time doing outdoor activities, you may want to go in for a watch which monitors your heart rate and has inbuilt features such as altimeter (tells you the height or altitude), barometer (what weather to expect), compass, GPS etc. If you are into swimming and water sports, buy a watch which has features such as water resistance of up to 100mtrs or more, automatic glow at the switch of the wrist, fibre unbreakable glass, durable hard plastic case, digital display etc. Some of these even may have features to record your laps at the press of a button for swimmers. The straps of these watches are usually made of durable polyurethane making them unaffected by salty and chlorinated water. If you are an athlete, you may want to go in for a watch which includes features such as a stopwatch, preset timers, countdown timer, alerts and alarms and lap time memory. While going shopping for a sports watch, it is easy to get confused. Try and understand the features the watch is supposed to perform and find a good match between your requirements and what’s on offer. Utilitarian, yet a style statement, fashion watches are what you would wear to an office or to a club house party. Found in as many designs, colors, styles and price range as you can possibly imagine, these are usually good to match with your outfit. 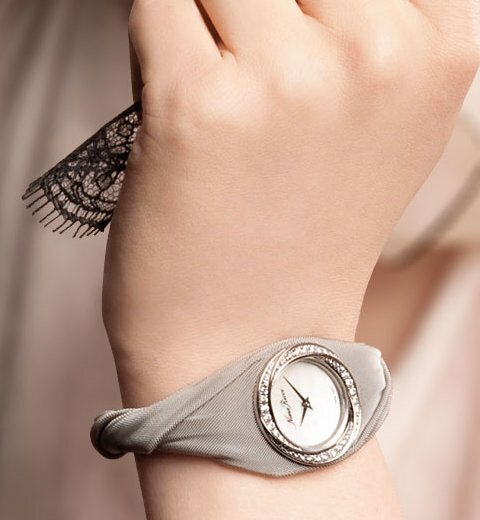 I would call a fashion watch more as an enhanced bracelet, which also tells time. You could have designs on the dial, on the wristband or both. The dial shape could be the usual round, oval, rectangular and square or more innovative shapes such as triangular, hexagonal, in the shape of an hour glass etc. Choose a fashion watch which suits your sensibility and budget. If you do not wish to have too many fashion watches, choose one with a basic dial shape in neutral colors such as steel, black, brown or white and with an option of changing the straps to make it look like a new watch every time you wear it. If you are a watch person, go on, indulge yourself, you will be surprised at the number of options you get to choose from! Great to give and receive as a gift, these could well be considered heirlooms. Picture a watch made with precious metals and studded with precious and semi precious stones, these would easily qualify as pieces of art. The dial of these watches could be made in steel in elegant and classic colors such as black, silver, white or the classic mother of pearl in colors such as pink, ivory and even a hint of blue. There could be elaborate enamel patterns in beautiful colors on the dial to add an element of ethnic beauty. The dial is often protected by scratch resistant sapphire crystal. Often the watch would have teeny bits of plated gold and silver representing the hours and minutes, which add glamor and richness to the styles. The minutes and hour hands could be in silver and gold too. Often, you will find the outer and inner case area of the watch (technically known as the outer bezel and bezel insert, respectively) in gold, silver and studded with precious and semi precious stones. The bands could be soft pure leather in crocodile, calf or sheep skin amongst others. The bands could also be made of pure or plated gold in colors such as rose, yellow and steel. The metallic bands could be made of multiple links, with clasps to hold the watch in place or could be simple bracelet styles. While buying a jewelery style watch, go for one which is a classic, keeping in mind your taste as well. Since the purpose of these is more as pieces of jewelery and less on loud announcement of time, it is okay to buy demure, small, feminine pieces of watches. Every watch makes a statement. What’s yours?